Whipping the tops off the 5 meter-high waves, the relentless 50-knot wind and pounding rain battered the drifting sailboat. “Mayday. Mayday. Mayday. This is the vessel Arawack. We require assistance.” The firm voice repeat again, and again. He prayed to a forgotten God. Let someone hear us. Please. The reply came in Spanish-accented English, calmly asking for their location and situation. 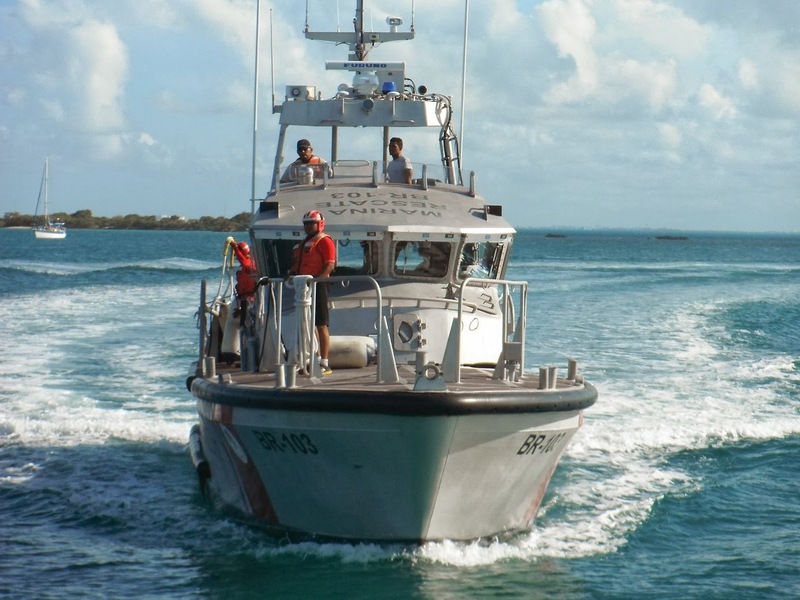 Search and Rescue BR-103 was dispatched from the Isla Mujeres naval base to locate and assist the yacht. The skipper, Capitan de Corbeta C.G. IM, Nicolas Lorenzo Huerta Perez, is a well-known Isla Mujeres islander. As the sleek ship pounded through the waves Capitan Huerta thought about the situation they were facing. Two men, one in his eighties, and the other just a year or two younger were on the stricken pleasure craft. What is God’s name would possess two elderly men to be sailing by themselves? He wondered, shaking his head in bemused puzzlement. Stationed on Isla Mujeres for more than four years, Capitan Huerta was the commanding officer of the Search and Rescue group. He and his crew of twenty-eight men operate three boats, rescuing on average around one-hundred and twenty people per year. It was a rewarding job, and Nicolas enjoyed every adventure. Sometimes, he thought, you just had to wonder at the situations people got themselves into. Eventually locating the US registered Arawack, the navy rescue crew struggled to put repair technicians on board the disabled yacht. Sliding into the deep troughs of the waves, and riding high on the swells the two boats tossed and jerked in a macabre dance while personnel from the navy boat transferred to the pleasure craft. Visibility was terrible. The winds fierce. And the waves increasing in size. Once on board the Arawack, The navy technicians wrestled for over two hours to untangling the sails and lines from the propeller, and making other necessary repairs. 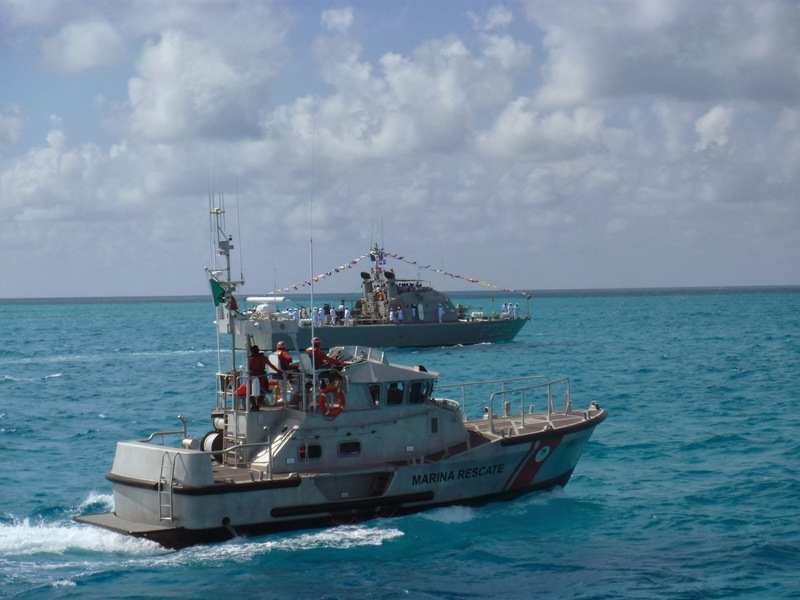 Then a line was secured to the Search and Rescue boat, the BR-103, and the pleasure boat began its long, uncomfortable journey to Isla Mujeres. 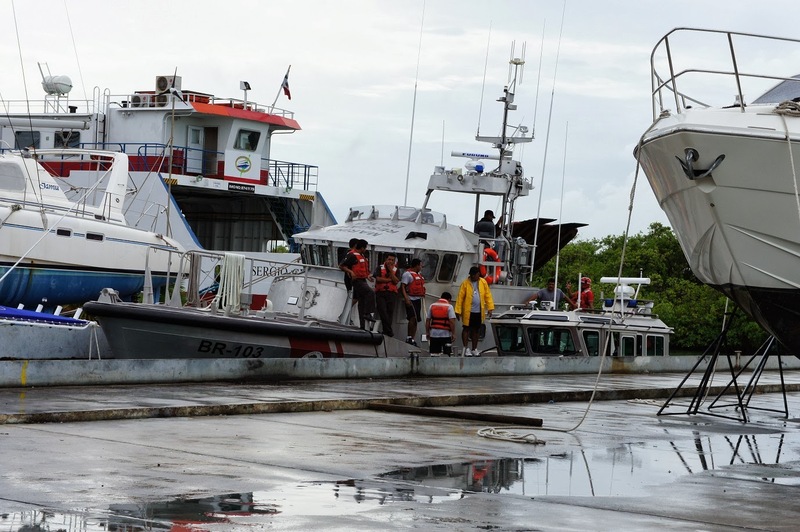 After fifty arduous hours, since the BR-103 had been dispatched from Isla Mujeres, the two boats arrived back at the Naval docks. Captain Huerta later discovered that the skipper of the Arawack had hoped that the US Coast Guard would have come to their rescue as he wanted to be towed back to an American marina. But the story does not end here. 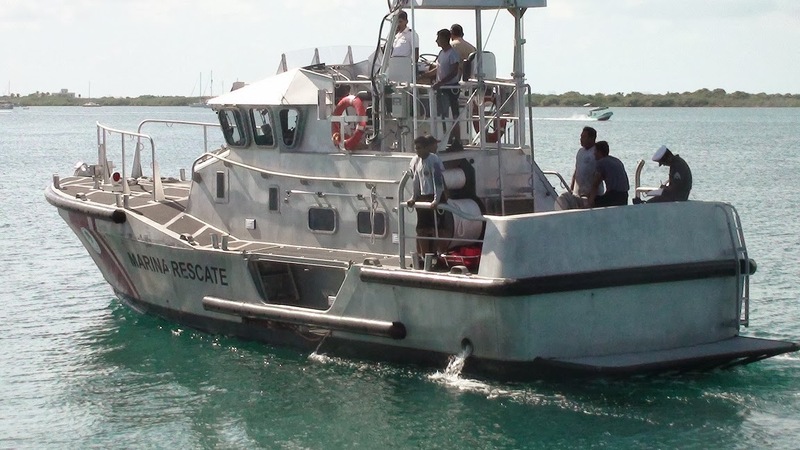 The very next day, the Mexican Navy Search and Rescue received a distress call from a boat that had problems with their propulsion. They also had problems with their sails. 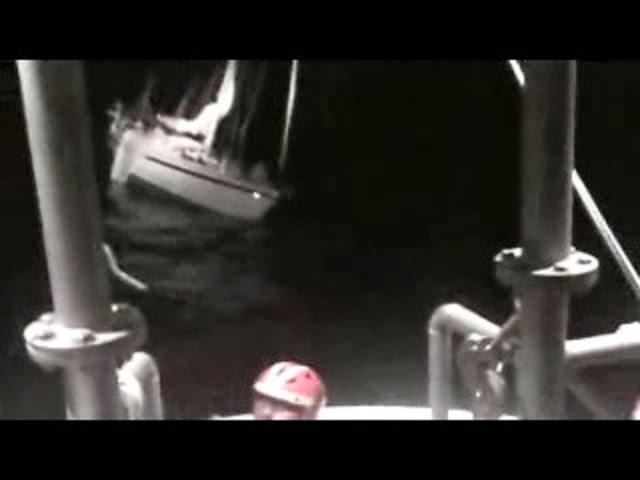 The two people on board the yacht – Arawack – were the same two elderly gentlemen that had been rescued the day before. They had sailed away to continue their adventure – only to meet with mishap once again! Nicolas Huerta and his lovely wife Lupita, plus their six children have recently been transferred to Acapulco. He is currently the Academic Director at the Mexican Navy School of Search, Rescue, and Diving. Although he has always served on bases located in Mexico, Nicolas is very well traveled. He has been to many countries including the USA, Venezuela, Panama, Chile, Spain, Portugal, England, Finland, Russia, Germany, Denmark, Guatemala, and our home country of Canada. They are missed by their many island friends. Yes, they certainly are missed on Isla Mujeres. Am hoping they will be transferred back here soon. I hope so! Lupita did so much for the schools of Isla, and I loved visiting with her at the Navy breakfasts.